An original and delicious way to glamorize the humble sprout for the Christmas table. Any left-over berries make an excellent garnish for a Christmassy Gin such as Twisting Spirits’ exciting Douglas Fir Gin. Melt 20g of the butter in a wide, heavy bottomed pan. Add the shallots and garlic and soften. Allow them to colour slightly and add the crushed junipers, stirring to combine. When the mixture is a pale golden brown (be careful not to let the onions and garlic burn) add the sprouts and stir to coat the sprouts in the buttery mixture. Add the stock and bring it to a simmer. Simmer gently for 10 minutes or until the sprouts have absorbed the liquid. If the liquid has all evaporated before the sprouts are cooked to your liking then add a little more stock and continue to simmer for a few more minutes. 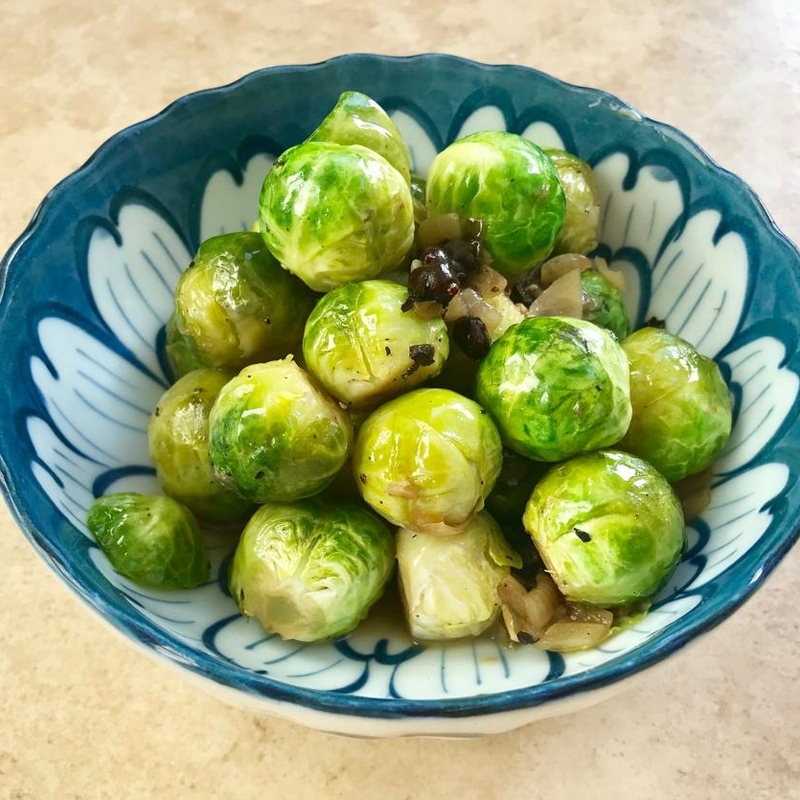 Alternatively, if there is still liquid left when the sprouts seem ready, strain the excess carefully without losing the shallots, garlic and juniper. When the sprouts are ready, stir in the remainder of the butter to give the dish a nice gloss and add a few juniper berries for garnish.